Wondering why there are so many blueberry recipes in this box? It could be because Michigan leads the country in the production of cultivated blueberries, harvesting 72 million pounds in 2011. Historically it led all states in blueberry production, but Maine, the largest producer of wild blueberries, harvested 82.6 million pounds in 2011. I talked about the differences between wild and cultivated blueberries in the recipe for Mother Klosinski’s Blueberry Pie. Combine sugar and constarch in saucepan; mix. 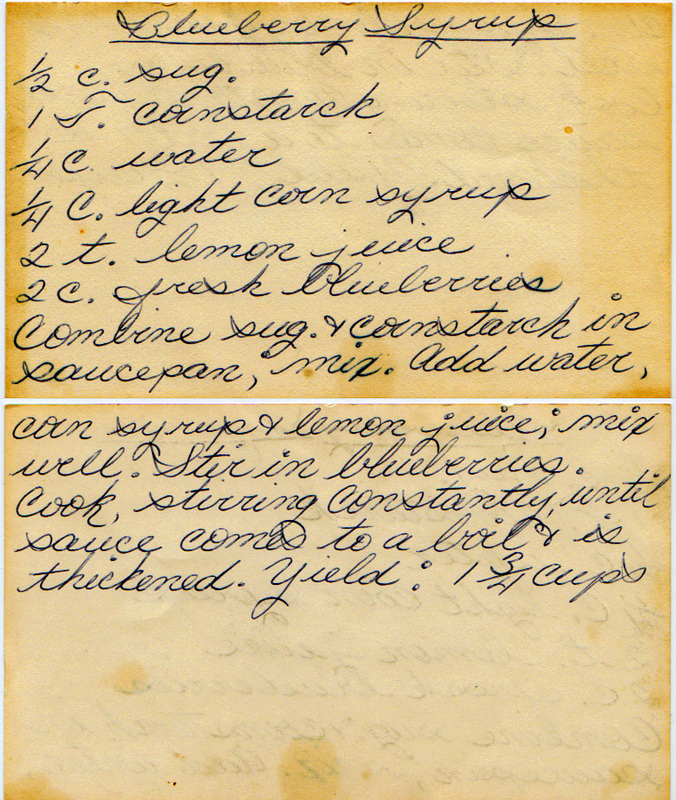 Add water, corn syrup, and lemon juice; mix well. Stir in blueberries. Cook, stirring constantly, until sauce comes to a boil and is thickened.